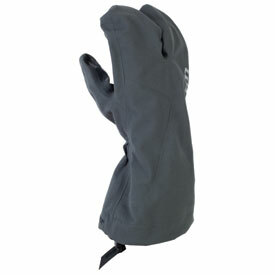 Designed to add 100% waterproof functionality to any glove. Wear this lightweight and package glove over ANY riding glove to add the GORE-TEX® Guaranteed to keep you dry® promise. Silicone grip material on palm and fingers. Visor wiper on left hand. Gauntlet shock cord tightening system. Gauntlet design for over or under cuff use. 3M™ gripping material on inside of glove, on palm and fingers for inter-glove connectivity.